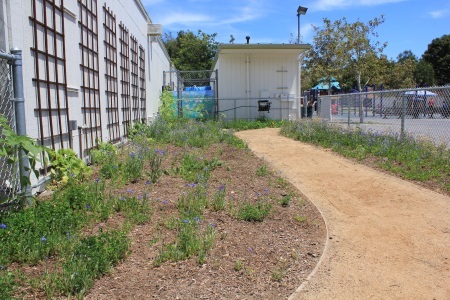 LAUSD understands the importance of school gardens and campus and community-shared green spaces in expanding learning opportunities to the outdoors, reducing the urban heat island effect, cleaning the air, and improving the infiltration of water into our aquifers. The district has several initiatives focused on providing natural outdoor play and learning and space that improves the ecology of school campuses. How can you green your campus? 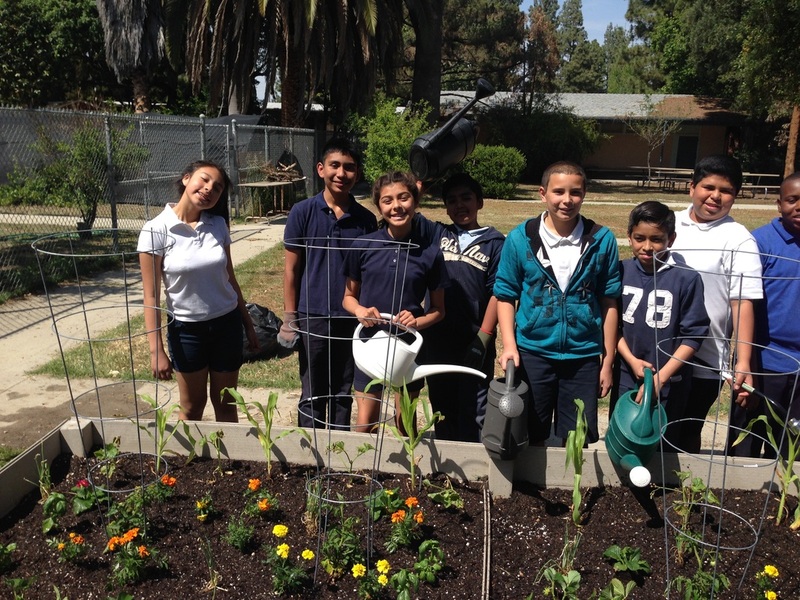 In an effort to support and expand the number of sustainable school greening projects throughout the District, LAUSD's Board of Education approved the Sustainable Environment Enhancement Developments for Schools (SEEDS) Program in June 2013. SEEDS is a bond funded program that helps create or improve existing school greening projects that directly support school curriculum. The SEEDS Program offers a total of $5 million to be distributed equally among the Local Districts. As part of its Global Humanitarian Challenge, Local District Northwest has undertaken an ambitious program aimed at bringing instructional native gardens to 120 of its campuses. Students participate in design of the gardens and teachers receive curriculum to enable them to use the gardens as outdoor learning spaces. The program kicked off in October 2015. The District's Nutritional Ed/Obesity Prevention program (NEOP) is a collaborative effort that provides learning experiences for 1,000's of LA Unified students to increase healthy eating and physical activity. NEOP works with partners to provide Learning Gardens that serve as outdoor classrooms and experiential play spaces empower healthier food choices. 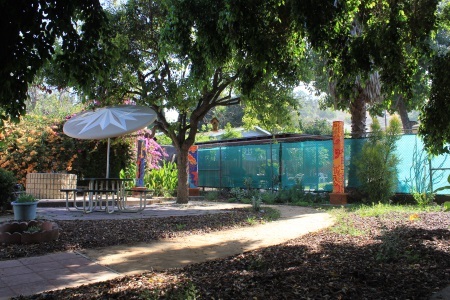 The Learning Gardens program currently serves 41 schools. The District is taking a national leadership role in making meaningful connections with nature part of the daily lives of the children it serves. Its Early Education Center Nature Explore Classrooms are designed to enable the District's youngest learners to acquire a deep, hands-on understanding of the natural world. The classrooms feature learning stations with hands-on activities, music, climbing and crawling, building, art, and gardening. The outdoor classroom experience has proven to be transformative -- children are calmer and more focused on learning, have fewer injuries and improved problem-solving skills. Currently, there are nature explore gardens at eight of the District's Early Educational Centers (4th Street, Arminta, Brooklyn, Canoga Park, Gardena, Glassell Park, Escalante, Mikes) with another 3 approved and 10 in planning. LAUSD won the 2014 Arbor Day Awards' Rachel Carson Award for its work in implementing Nature Explore Classrooms. 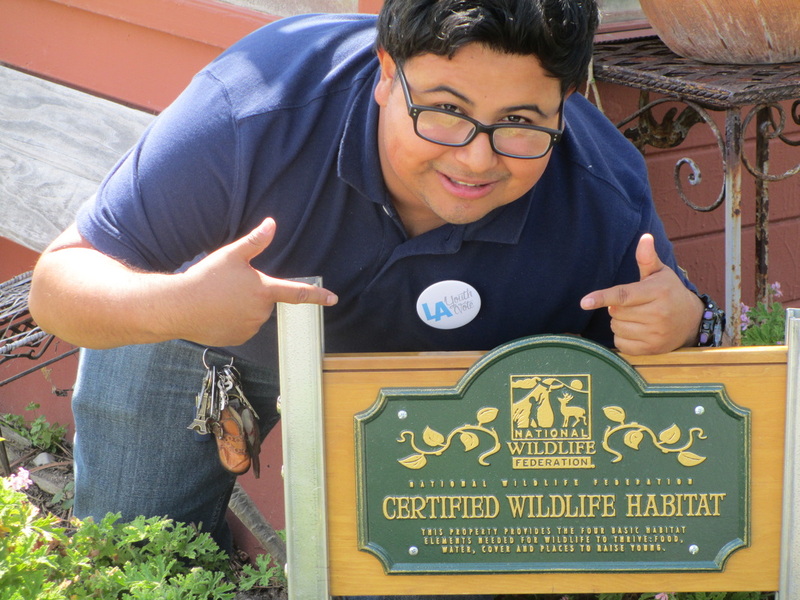 LA Unified currently has 26 Schoolyard Habitats certified by the National Wildlife Federation. 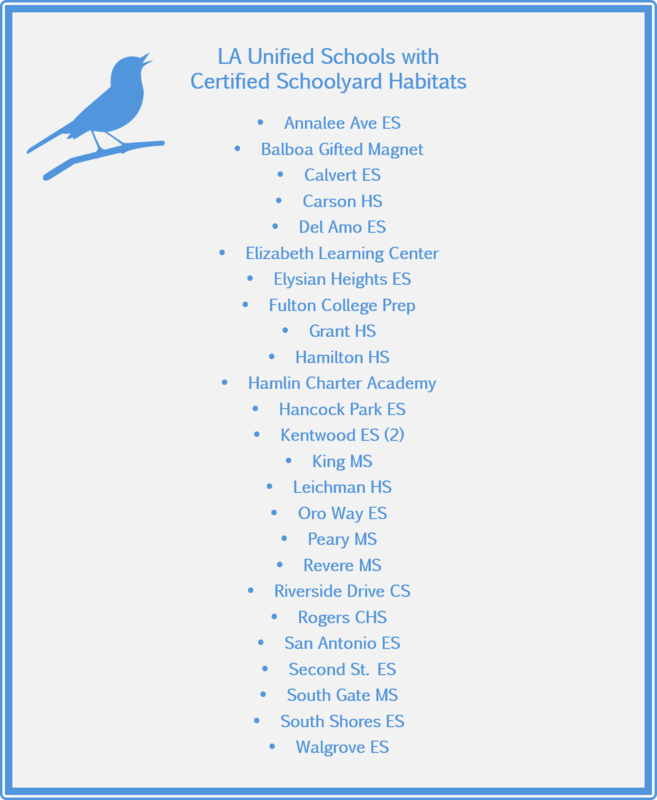 Schoolyard Habitats are outdoor classrooms where educators and students learn how to attract and support local wildlife.